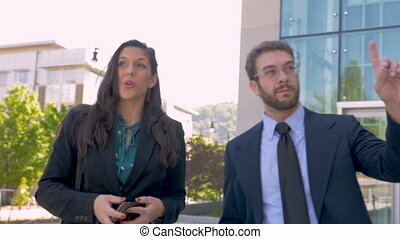 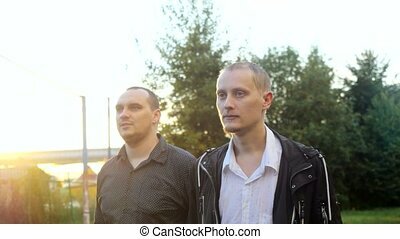 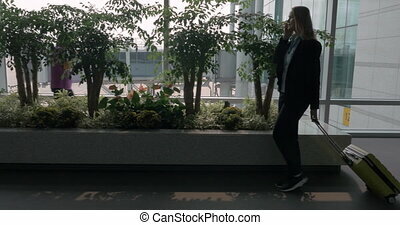 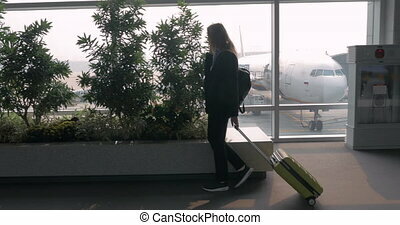 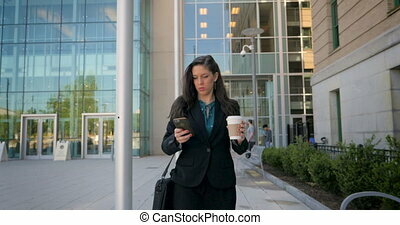 Businesspeople with suitcase using mobile phones while walking in office 4k. 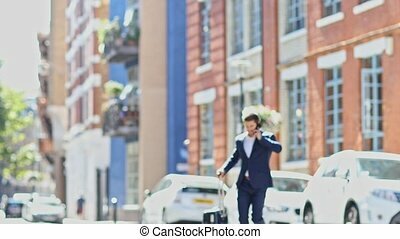 Group of businesspeople with suitcase using mobile phones while walking in office 4k. 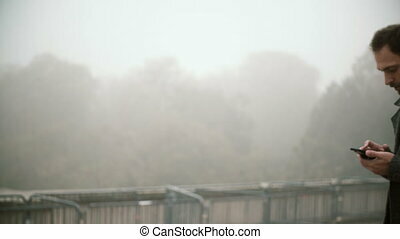 Young handsome man walking in foggy park in the morning. 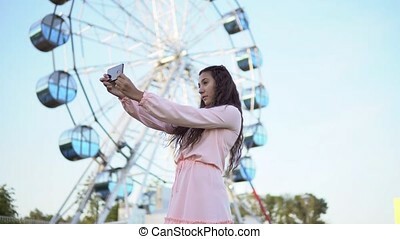 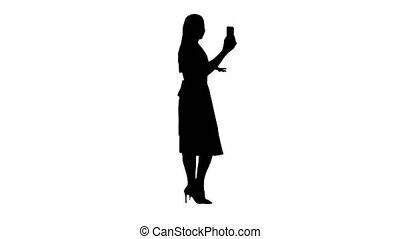 Bearded male using the smartphone with touchscreen. 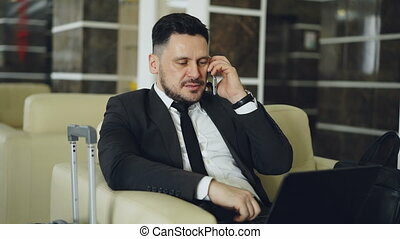 Attractive man browsing the Internet from mobile phone. 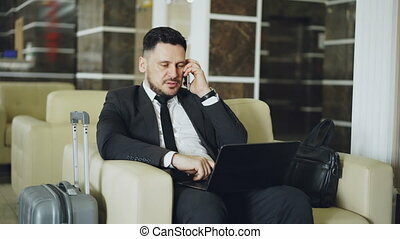 Pan shot of handsome bearded businessman sitting in armchair talking mobile phone with notepad while businesswoman in suit with luggage walking through hotel lobby from reception desk.